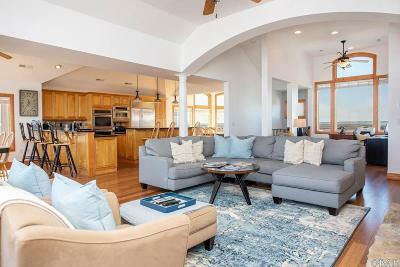 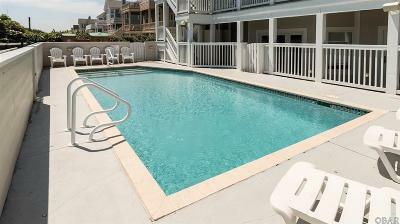 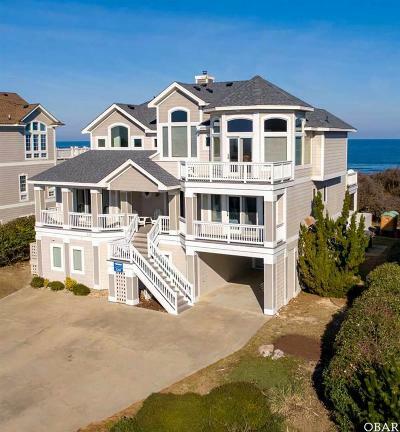 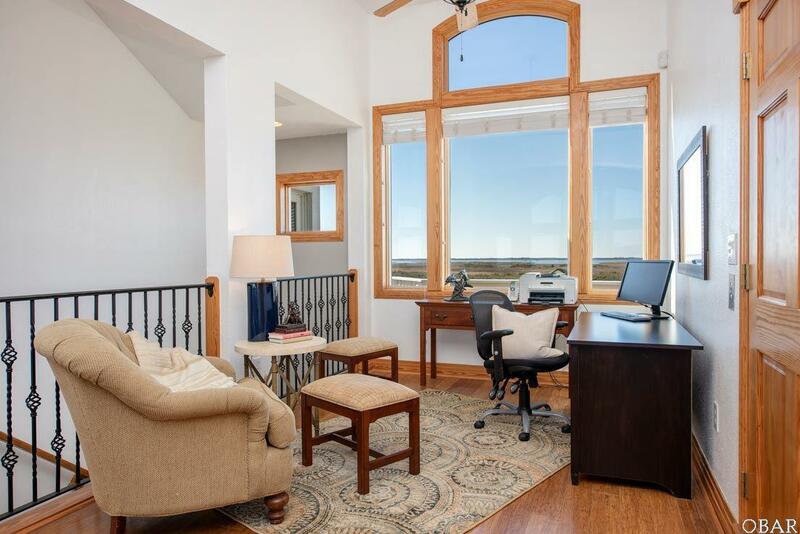 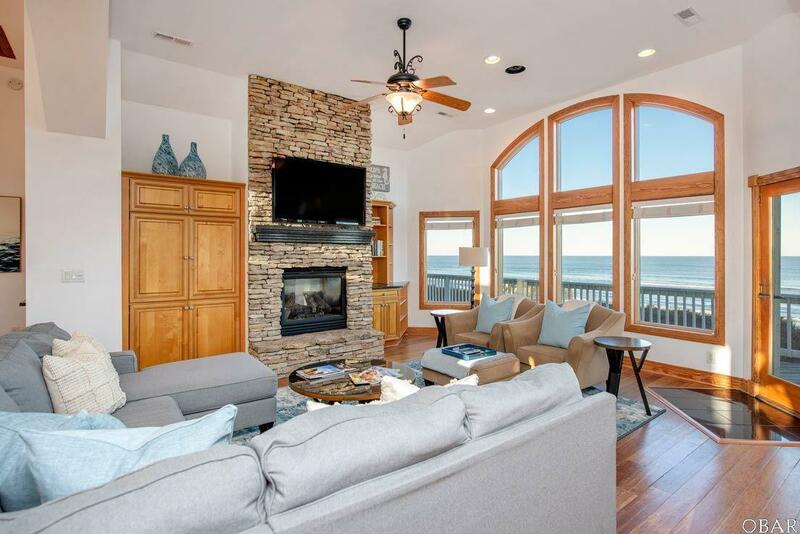 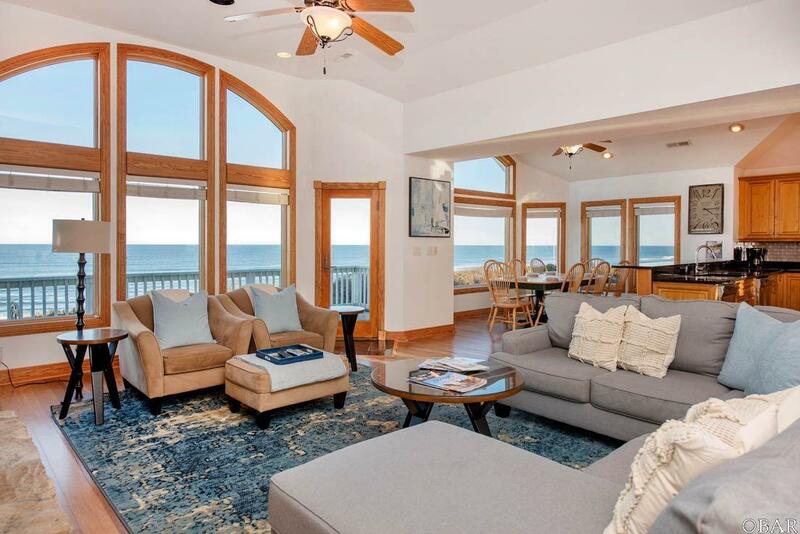 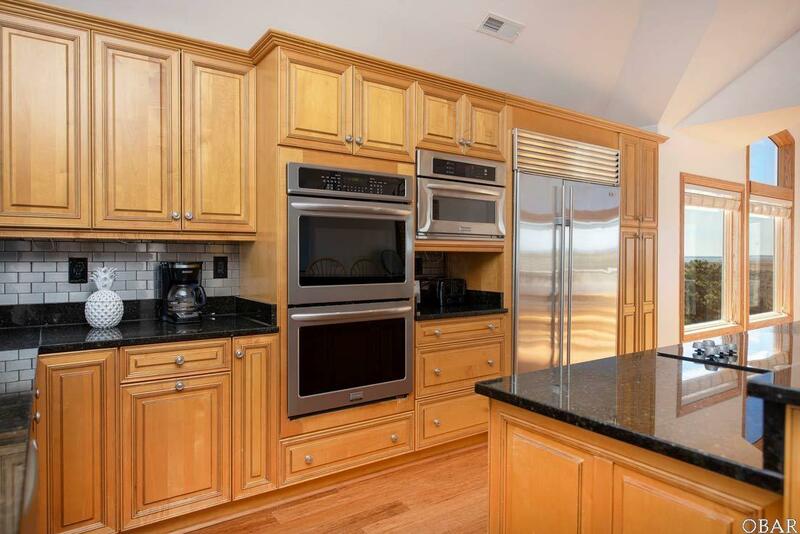 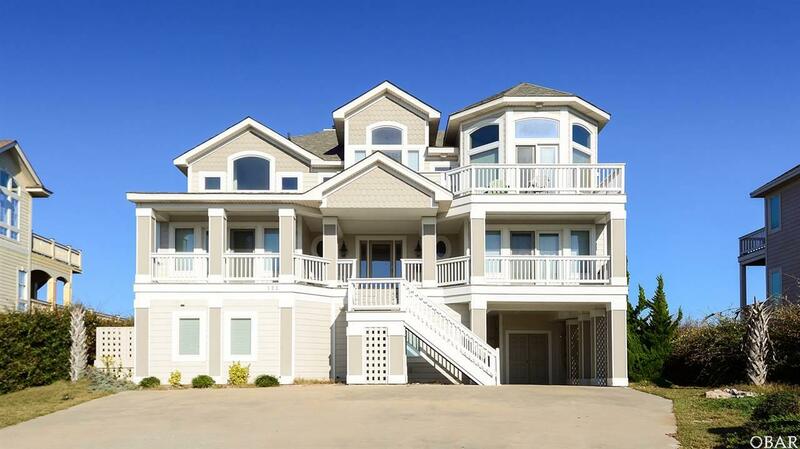 Luxury oceanfront investment property in one of the most desirable communities in Corolla. 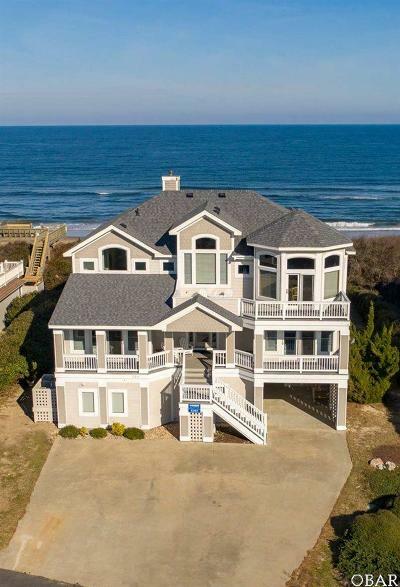 Nine bedrooms, nine full bathrooms, three half baths, elevator, pool, hot tub, game room, media room, office and more, with pristine views of the ocean and the sound. 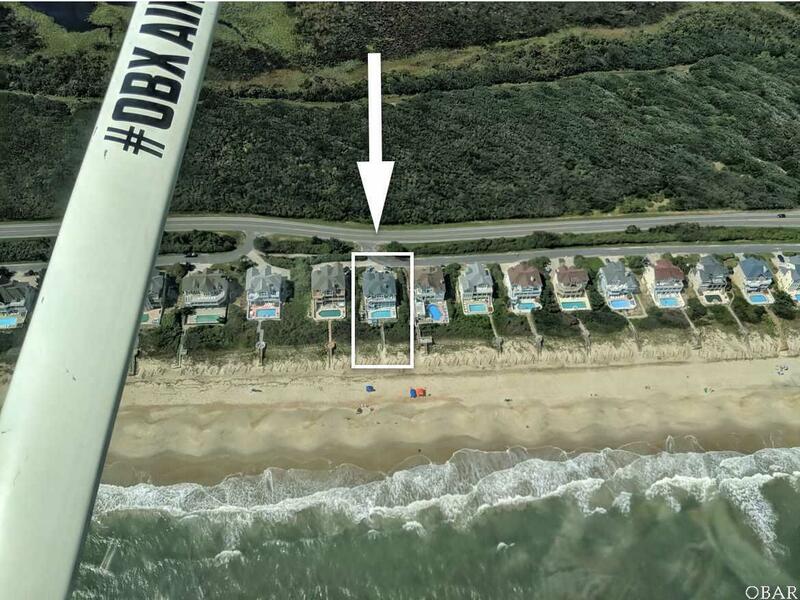 X-flood zone, so flood insurance is not required! 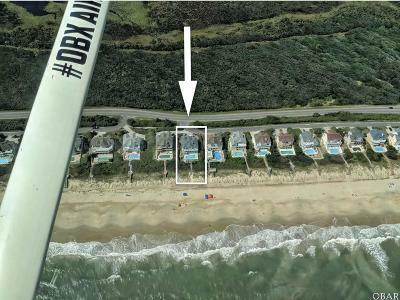 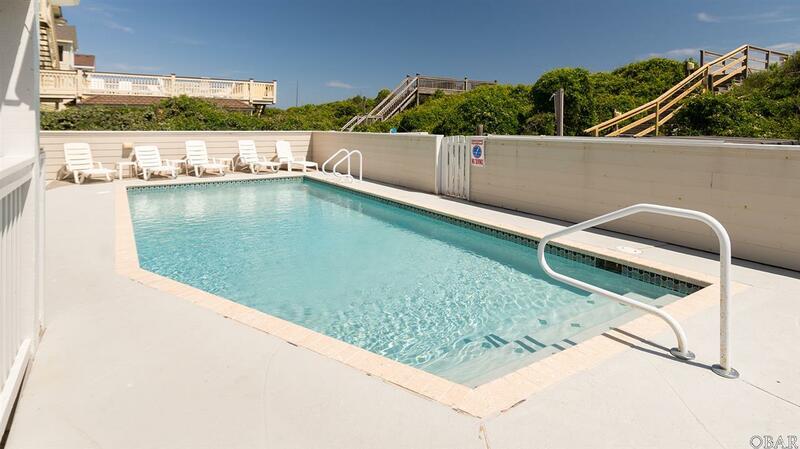 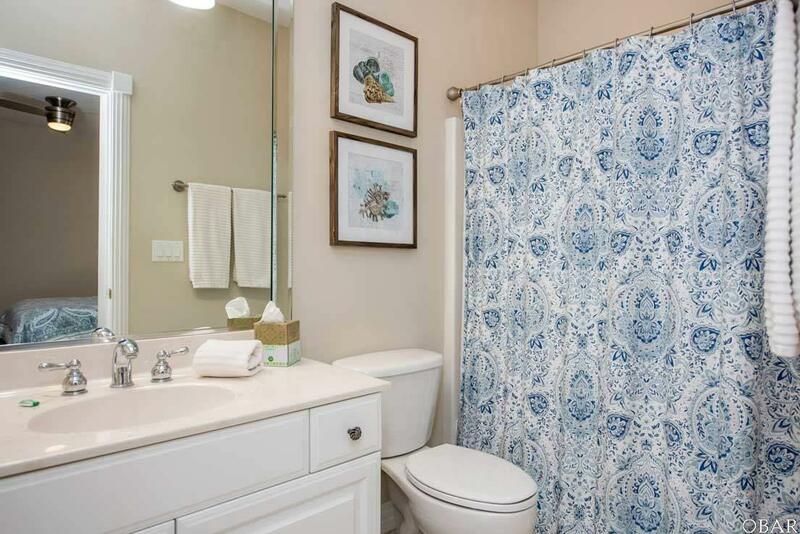 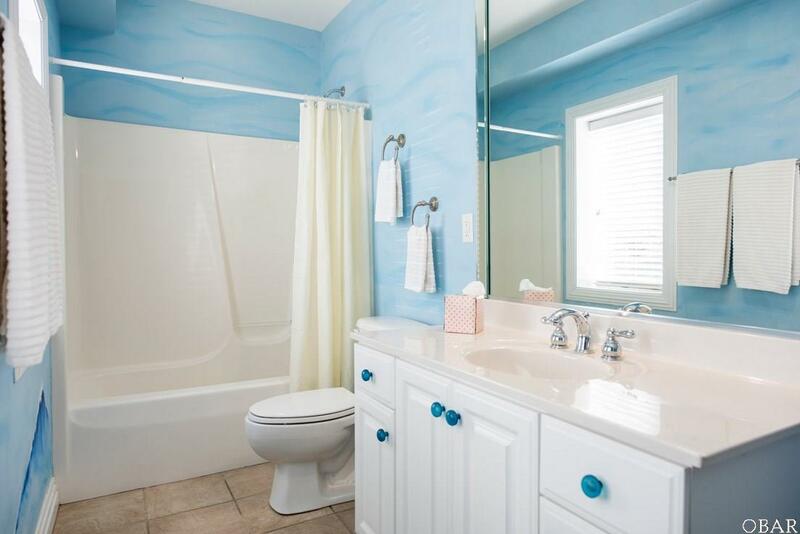 Over 255k in gross income in 2018, this is a great opportunity for an Outer Banks investment. 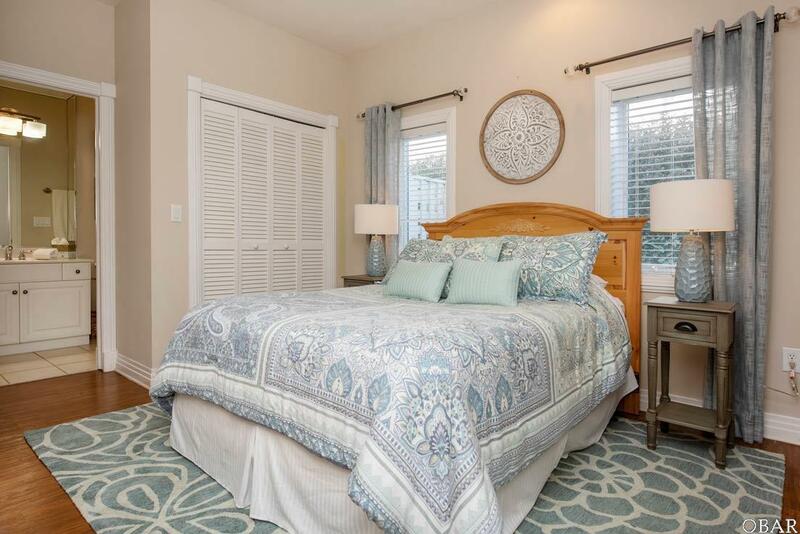 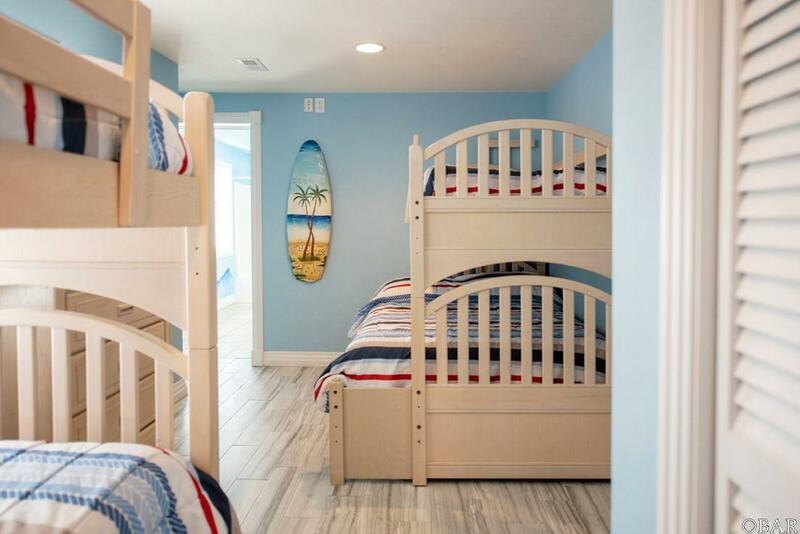 The ground level features four master bedrooms, game room, kitchenette, powder room and laundry room. 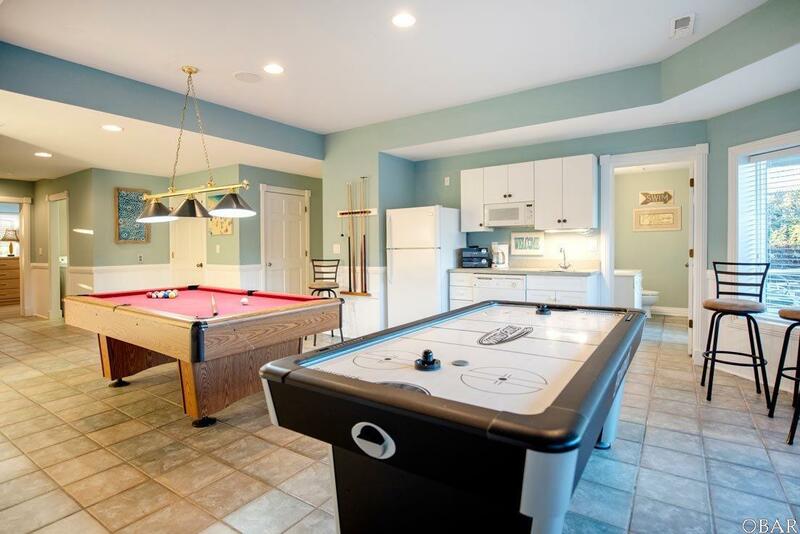 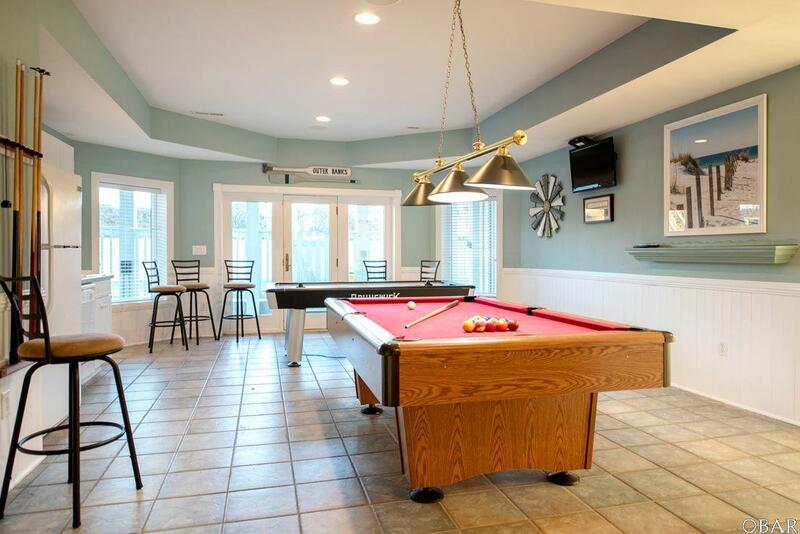 The game room has sliders that open up to the fenced-in pool deck, large pool, hot tub and outside showers. 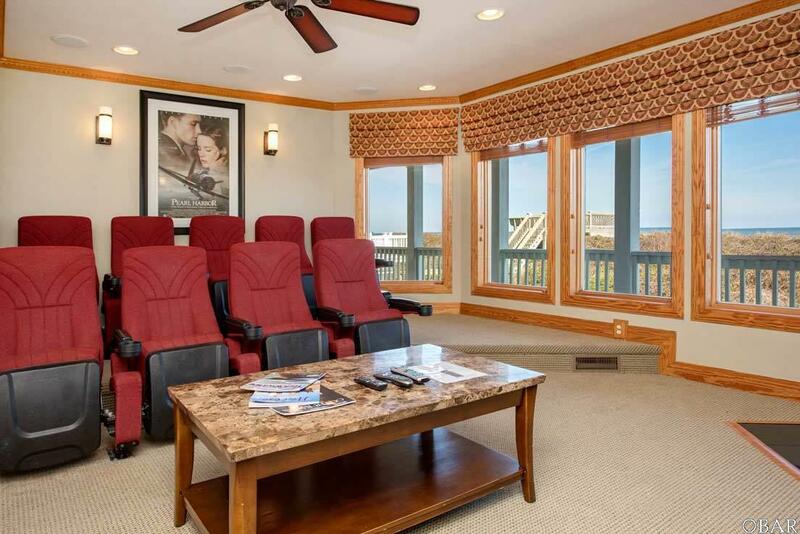 The mid-level features four more master bedrooms, ocean and sound views, and a large theatre room. 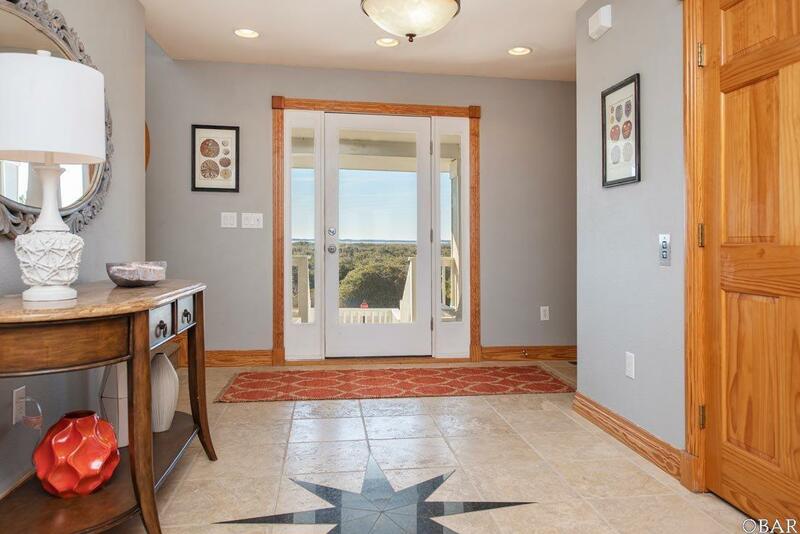 The top level showcases the amazing ocean and sound views, sunrises and sunsets. 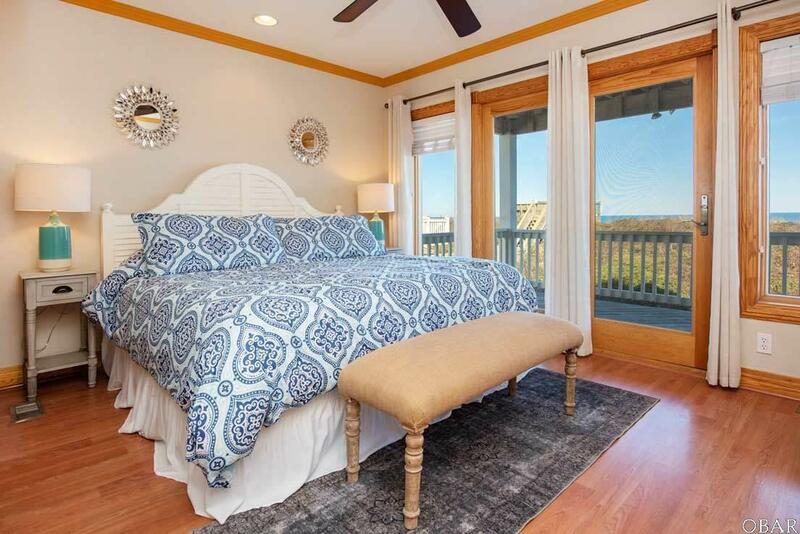 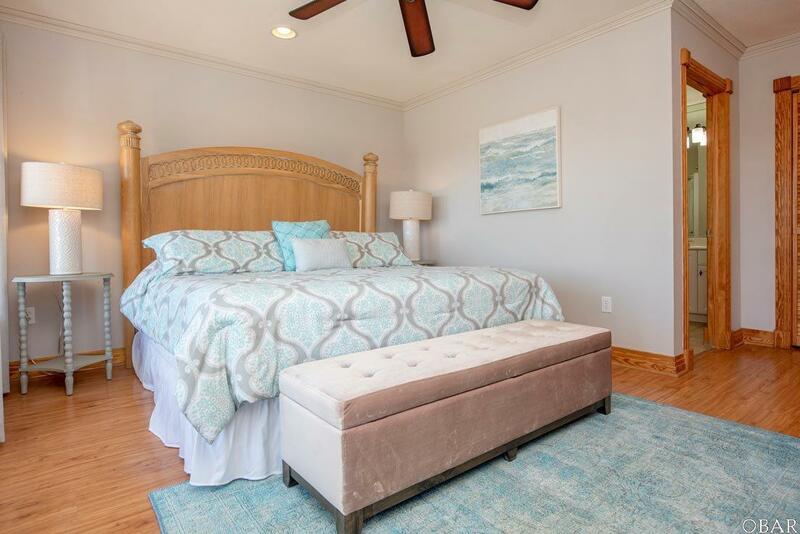 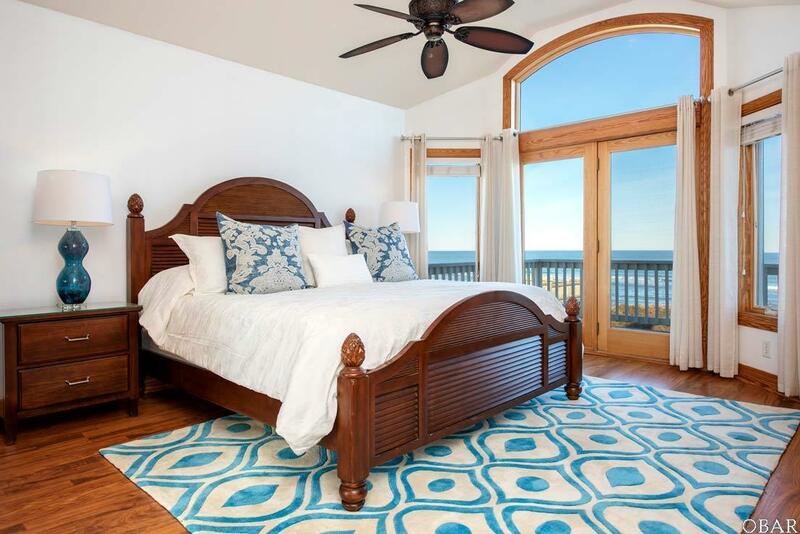 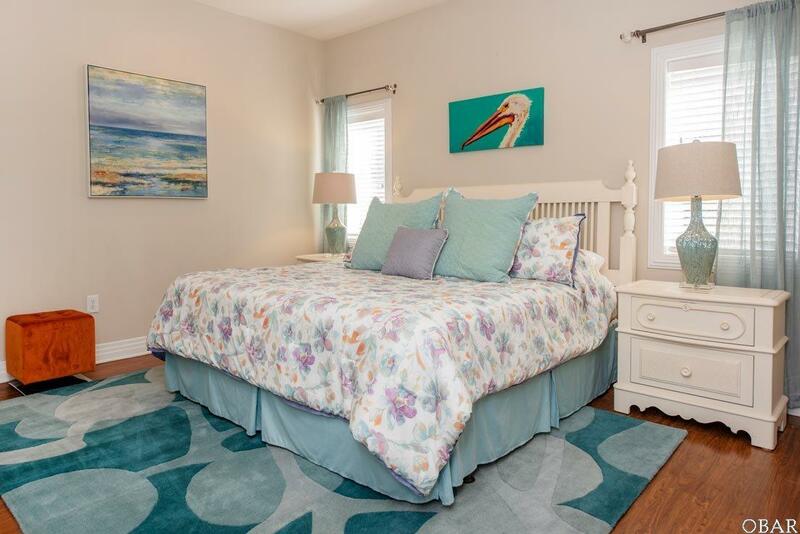 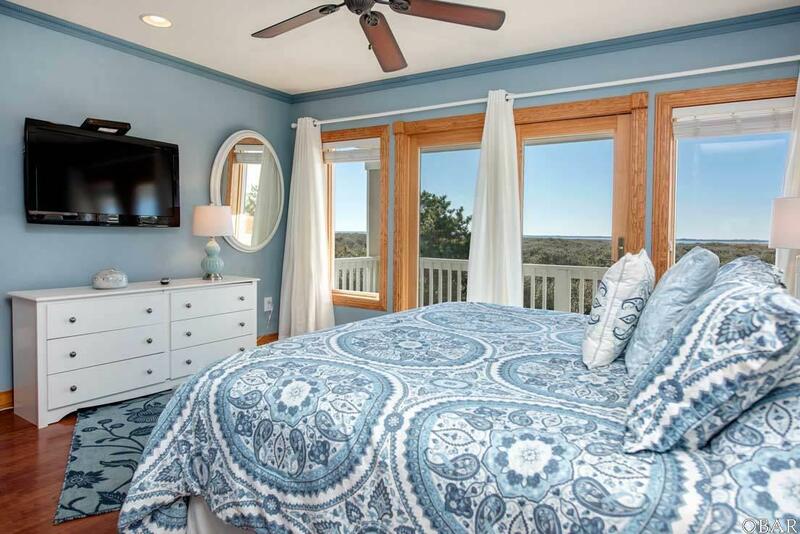 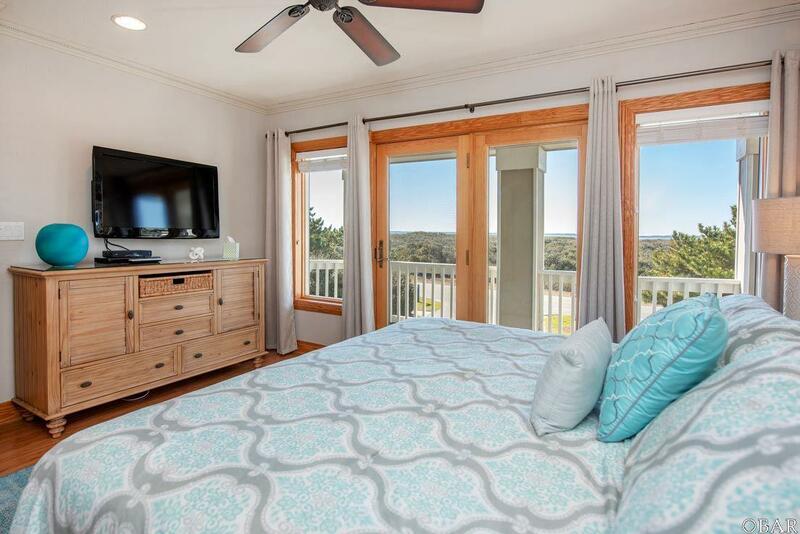 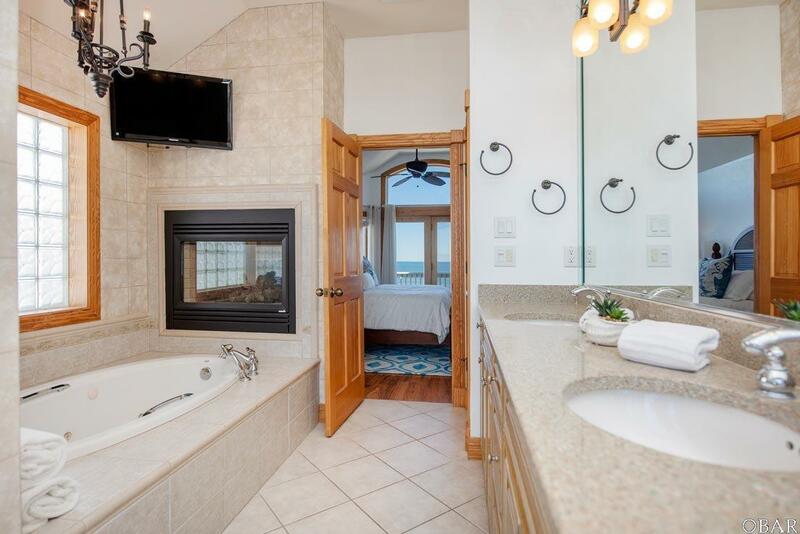 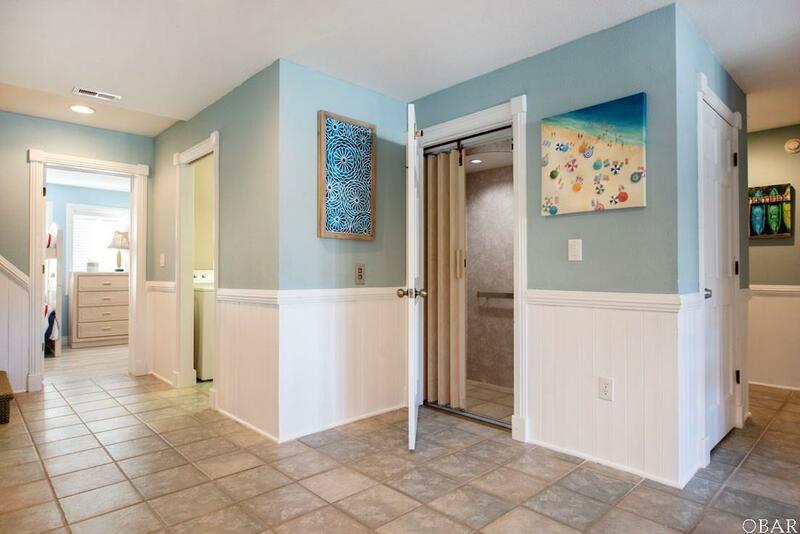 There is a master bedroom on this level, with ocean views and a large, well-appointed master bathroom with ocean and sound views. 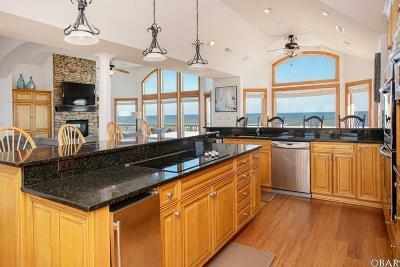 The gourmet kitchen features granite countertops, stainless steel appliances, double ovens, two dishwashers, and a large island for extra prep space and seating. 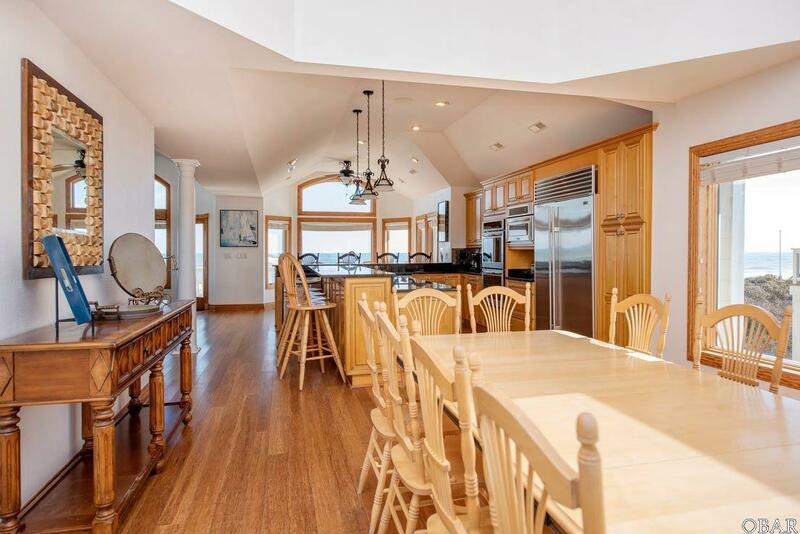 The kitchen opens up to the great room with cathedral ceilings and ample windows to showcase the views and let in natural light. 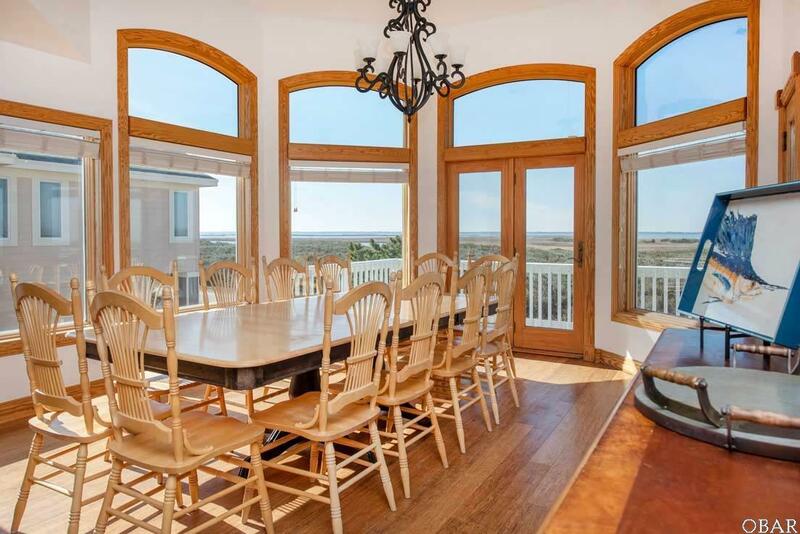 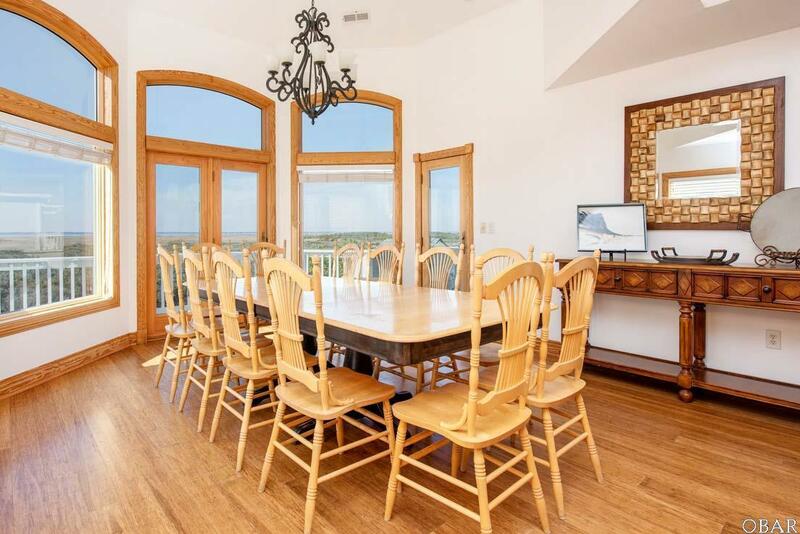 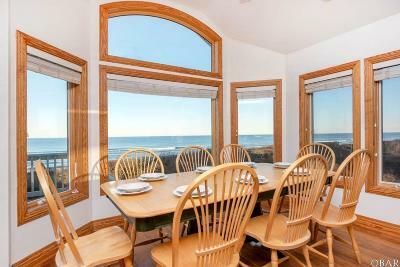 The large dining area has views of the ocean and of the Currituck Sound that spans for miles over the undeveloped land to the west. 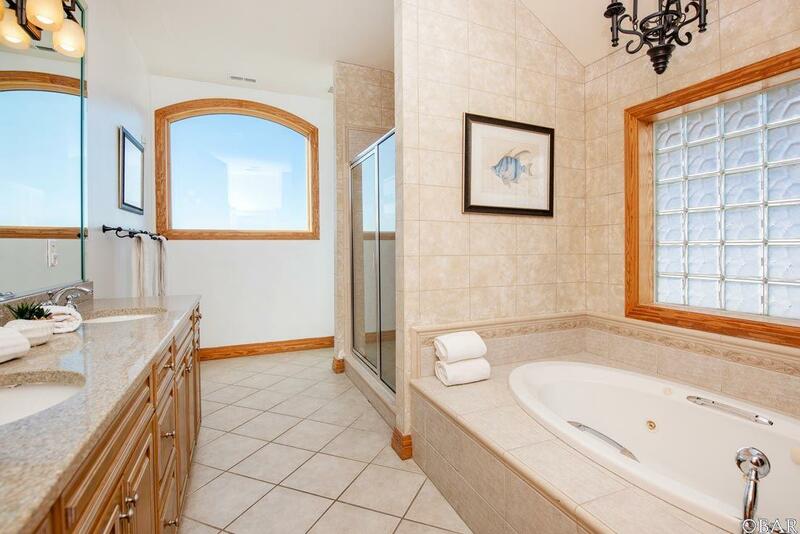 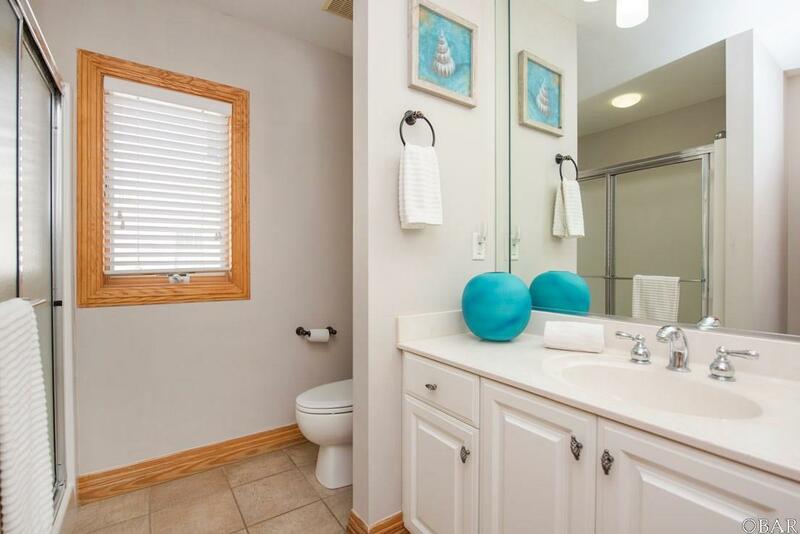 There is a powder room and an office area with views also on this level. Over 65k in updates done in 2017/2018 including new roof, pool upgrade and many more. 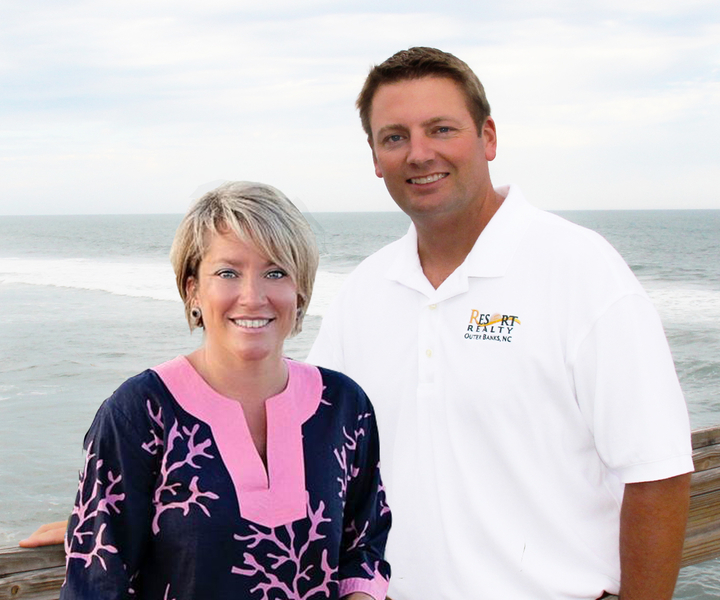 Contact listing agent for a full list of updates and upgrades. 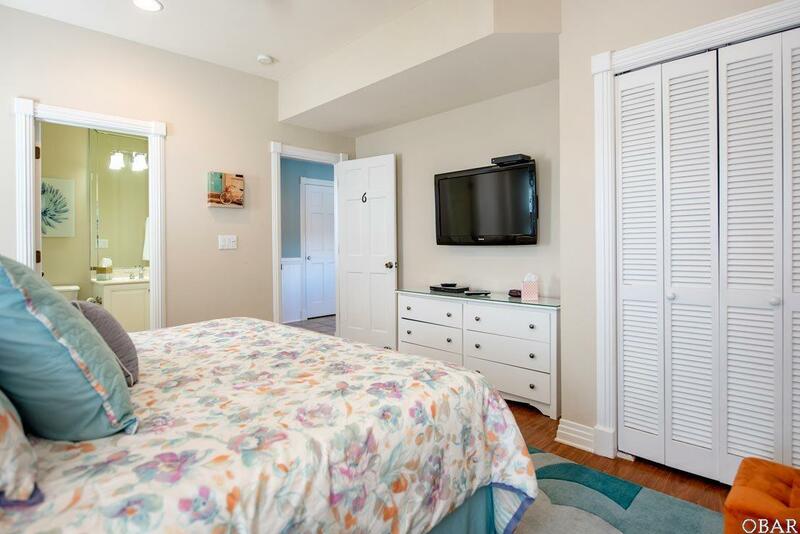 Turn-key, fully furnished, with 195k in gross income on the books already for 2019.